This 25ft Male to Male S-Video cable is great for connecting S-Video components together. 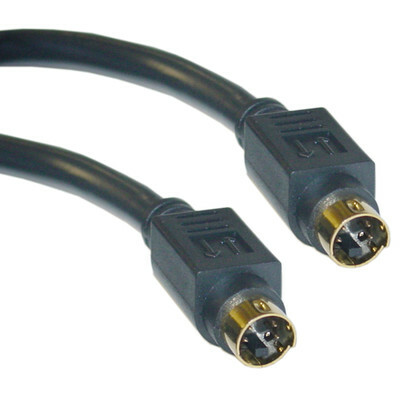 This cable features gold-plated connectors for minimal signal transfer loss. S-Video is a high quality video connection often used with S-VHS VCRs, DVD players, TVs, Camcorders, Video Cards, and is a step up from basic RCA connections where available.